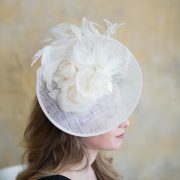 Ellie is a stunning saucer hat. 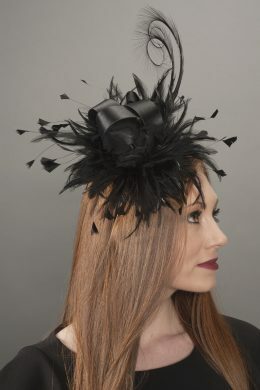 The black base, worn on a headband, is merged with red feathers to create drama. 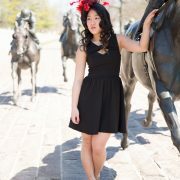 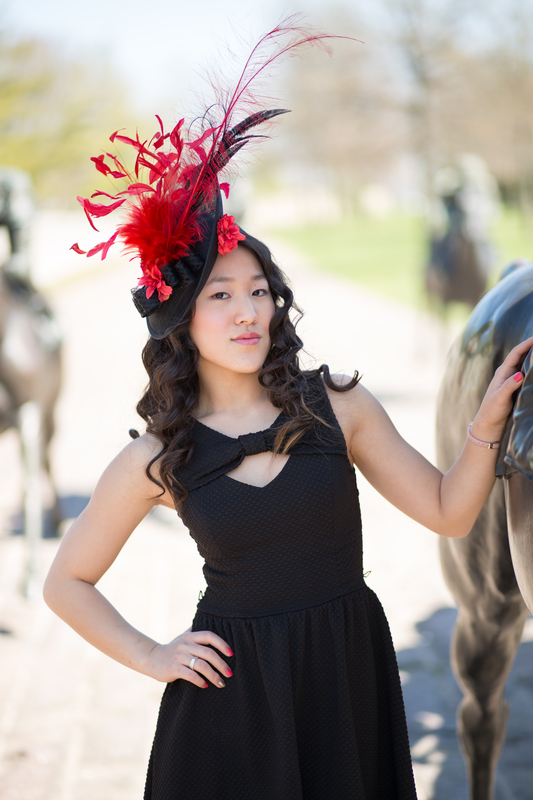 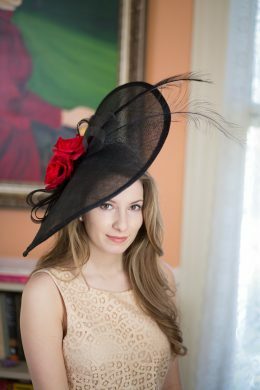 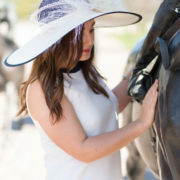 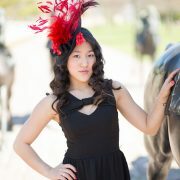 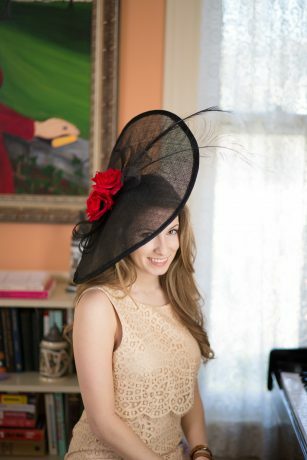 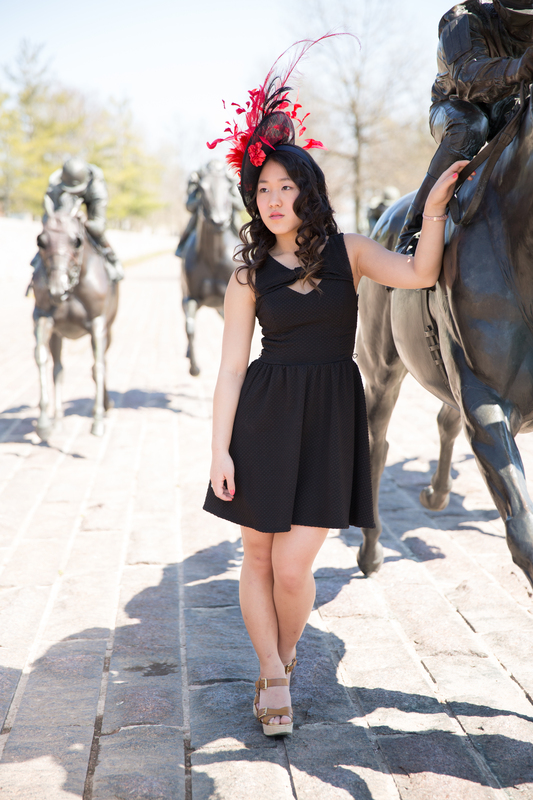 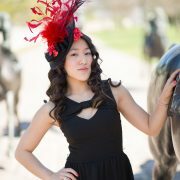 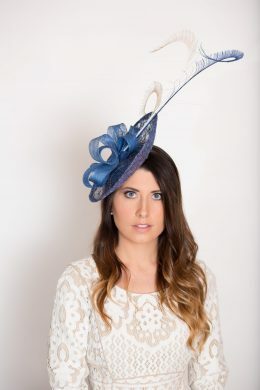 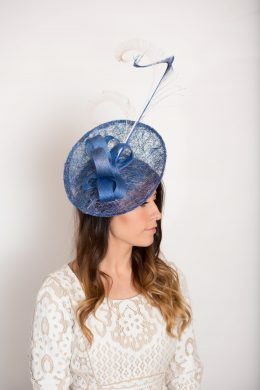 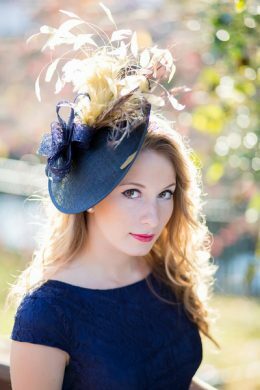 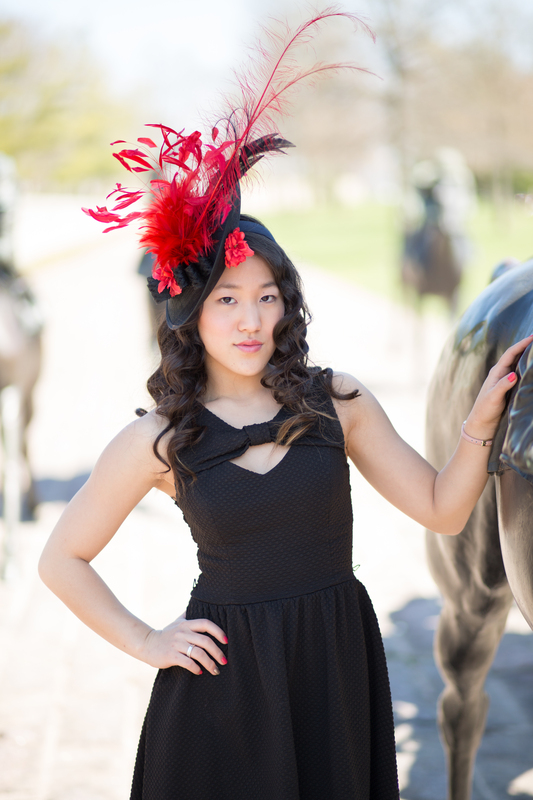 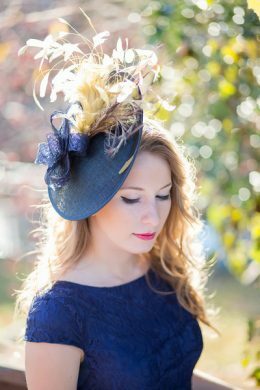 Guaranteed to turn heads at the Kentucky Derby or any other horse race, order Ellie today!